This blog will capture the many diverse roles played by employees and volunteers across the Virtual Doctors. I’m a final year university student in the UK and am planning a career in journalism. As such, I’m interested in writing about global affairs and am drawn to the work done by the Virtual Doctors. Here is the third instalment in a series of blogs about the organisation and its staff. This blog post focuses on the valuable work of Ian Clarke, the latest member of the Virtual Doctors team whom I have had the opportunity to interview. He volunteers as the charity’s Technology Trustee, a role in which he oversees the development of the mobile application used in Africa as well as the website used by GPs in the UK. He also provides the charity with any guidance that they require relating to technology. All of this is balanced alongside his full-time job as Chief Technology Officer for Landmark, a property technology company. Ian’s wealth of expertise in this field means he has a crucial role in the work of the Virtual Doctors. It was back in October 2014 when he first found out about the charity as he was approached by David Dutton, a colleague and a Trustee of the charity, to ask if he could help on matters relating to technology. He describes his initial impression of the concept as something ‘so simple but it could potentially have a huge impact on the lives of people in Africa.’ In exploring this opportunity he then spoke to Huw Jones, the charity’s founder, and this was what really motivated him to get involved. Huw’s story of a woman he found bleeding at the side of the road and then tried to help by driving her to hospital really moved him, and motivated him to contribute to efforts to improve Africa’s primary healthcare. For anyone working in technology the absolute goal and greatest feeling of success comes from it being put to good use. For Ian, getting to see the mobile application being used effectively in Zambia is the hugely rewarding. He was lucky enough to visit five clinics in Zambia with his daughter in 2017 and witnessed the technology in action. He appreciated just how desperately the help of Virtual Doctors is needed. Seeing the long queues that citizens stand in to see a clinician and the huge pressure that clinics were under reminded him why he became involved, ‘to help in a small way and potentially save some lives in Africa’. He also knows that, on returning from Zambia, he will never again complain about UK wait times to see a GP! When asked about where he sees the Virtual Doctors going in the future, Ian envisages no reason why the charity could not expand across more of Africa, and even developing countries in other continents. ‘We have proved that the system works and the demand is there’ and that is the most important thing. However, there are potentially 1,000 more clinics in Zambia that could benefit from their service and so for the time being they have just scratched the surface. With time and the right funding, the charity has an incredible amount of potential. Ian’s work for the charity does not end at software development. He has also taken part in two incredible fundraising challenges. Firstly, in 2015 he battled through unseasonably wet weather to complete a 700-mile bike ride from London to Paris to Rotterdam to London, raising £2,500. 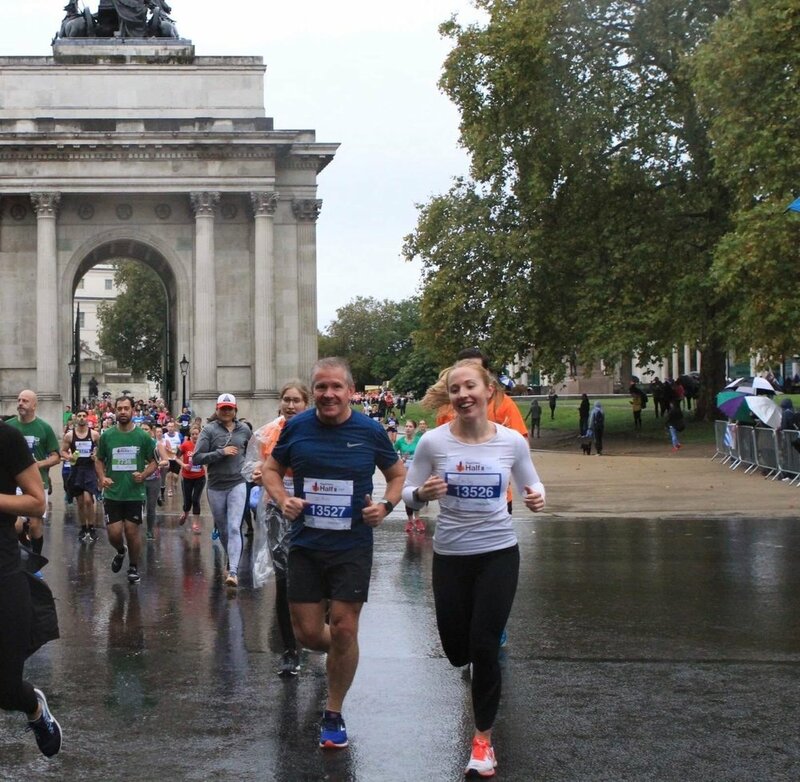 Last year he then took up running and, together with his daughter and two colleagues from Landmark, completed the London Royal Parks Half Marathon. Their team raised a phenomenal £5000 for the charity. He really is doing everything he can to support their fantastic work!